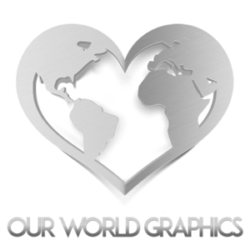 Our World Graphics – Custom and Do-It-Yourself Graphics Options to drive your project! The One Stop Shop For All Of Your Graphic Design Needs! Graphic design is crucial for making your business pop visually and can make all the difference when it comes to your first impressions. but more importantlyit should give your business a professional sheen that ensures you get taken seriously. If your graphic design is for advertising purposes, then its objective is also to persuade. This is why graphic design requires a good understanding of psychology – what is it that will best attract attention? What do you need to include to stir a viewer’s emotion? Moreover, what do you have to do to get them to click on your adverts? Good design is thoughtful too. That means that it should understand and speak to the nature of your business and to your target audience/industry. Your graphic designers should understand your business and what you’re about and should be able to express that with their great design. 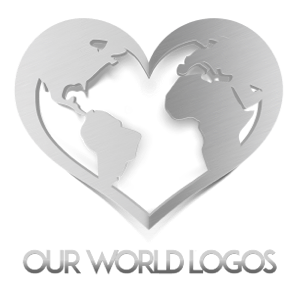 When you design a logo, your design company should be able to avoid clichés while perfectly expressing what it is your business does and your ethos. What’s more it should be practical so that you can use it in a range of scenarios and so it’s easy to reproduce. At the same time, great graphic design should also be crisp, high definition and flawless. When it comes to graphic design, the devil really is in the details. In other words, while you might not notice a single pixel out of place – on an unconscious level it does stand out and it ultimately undermines the apparent quality of the site or advert you’re looking at. 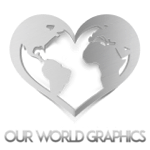 If that’s the kind of graphic design you’re looking for, then look no further than Our World Graphics. We provide highly professional, thoughtful and eye-catching graphic design for your website, advertising, brand or anything else and we always exceed expectation. As we’ve discussed, great design is about understanding the audience and it’s about attention to detail – and these are things that we pride ourselves on. What’s more, we provide the most professional looking images and design for the very most affordable prices.